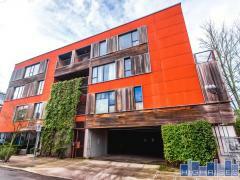 Located in Portland's Alphabet District, Cornerstone at Pettygrove is a charming 1950 low-rise. Units at Cornerstone at Pettygrove feature fireplaces, laundry and gas stoves. Have any comments or questions about Cornerstone at Pettygrove? Ask your question and/or share your thoughts about this Building.